This eBook is a collection of 59 sermons from the Rev. George Whitefield, a contemporary of Jonathan Edwards and John Wesley. He was an English Anglican preacher who spent most of his life spreading the gospel by preaching in open air and was one of the major instruments of God used in the Great Awakening in Britain and the United States. He was probably the best-known preacher in Britain and America during the 18th century and was considered one of the founders of Methodism. He drew great crowds when he preached and had amazing oratory skills which carried over long distances. Benjamin Franklin when listening to Whitefield once estimated that he could be heard by over thirty thousand people at one time in the open air. George Whitefield and John Wesley were close friends but had sharp theological differences over predestination and the degree of the work of the Holy Spirit in the salvation of men. 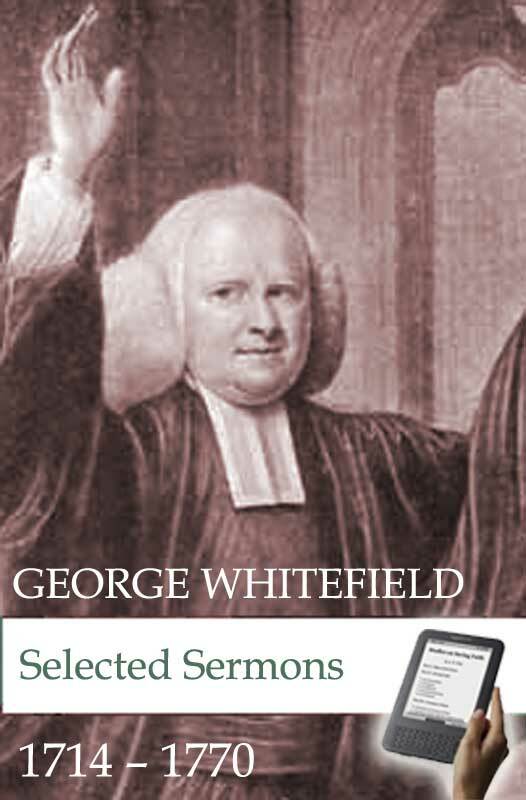 The Works of George Whitefield | 6 Volumes - Pdf, Mobi, ePub.